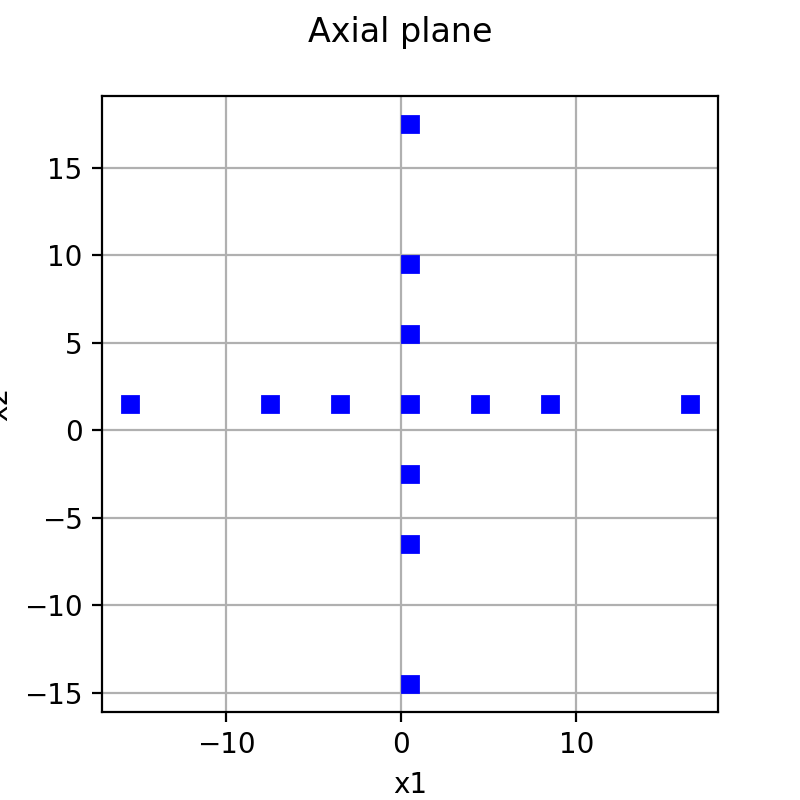 Axial is a stratified design of experiments enabling to generate a pattern with points only along the axes. It is not convenient to model interactions between variables. 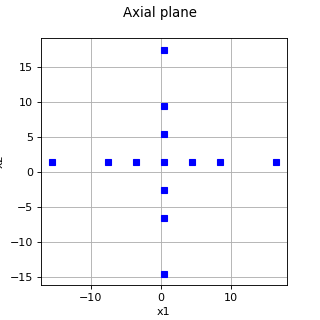 The axial pattern is obtained by discretizing each direction according to specified levels, symmetrically with respect to the center of the design of experiments.